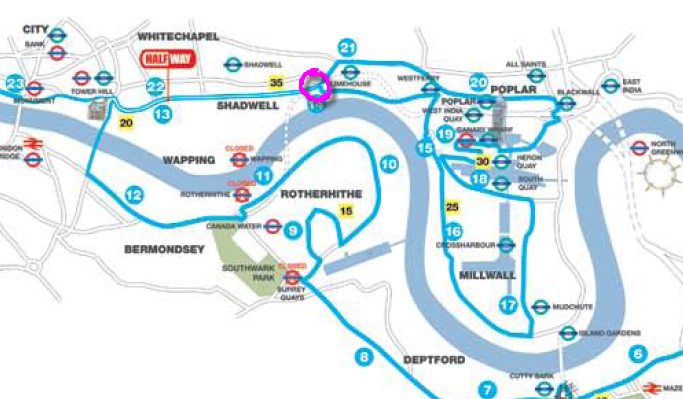 A group of clapham runners will be supporting their fellow club members at the 14/21(ish) mile points (indicated in pink). 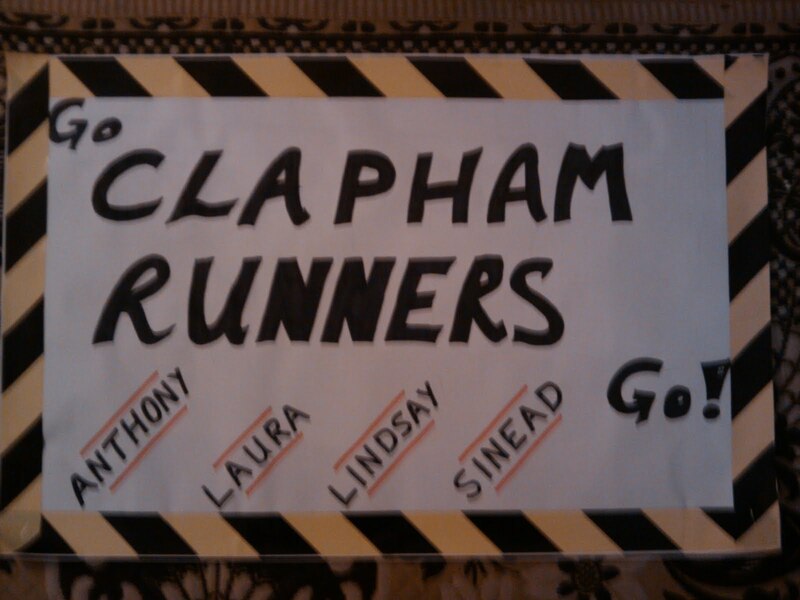 We are meeting at Limehouse at 9.50 or on the course for those who don’t like early mornings! We will be shouting encouragement and waving a banner lovingly handcrafted by Martin (pictured below). Smile when you see us as we will also be armed with a camera! Lets hope we spot everyone – GOOD LUCK! ← It’s Thursday – it’s track day!